My block is called Inspector Sidekick and honours all of my furry family members. 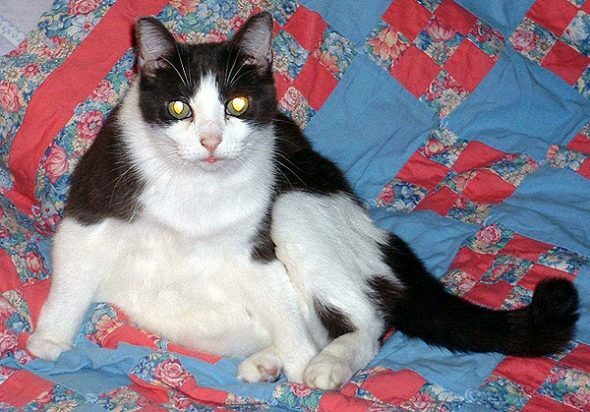 Animals, both dogs and cats, have been a part of my family since I was a young child. 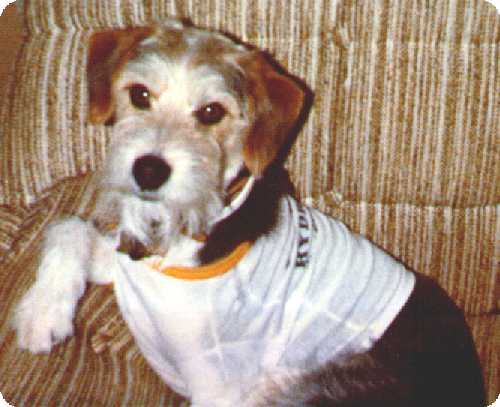 My family’s first dog, Pepper. In my early twenties, I enrolled in dressmaking classes at the local community college. At this time, Pal lived with me, and I was spending a lot of my spare time completing the homework assignments. This meant spending a lot of time at the sewing and serging machines. Pal was not at all impressed that he couldn’t be on my lap while I was stitching. Being a mischievous kitty, he found his revenge, by biting through all of my serger threads when I was sleeping or at work. This was 25 years ago, and let me tell you, those old sergers were a bear to thread. Pal helping me make a string quilt. My second baby was Daniel. 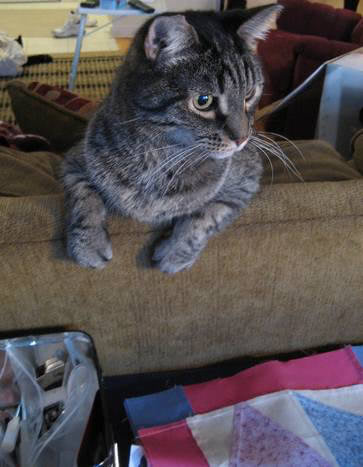 He spent many hours with his head hanging over the back of the couch watching what I was working on at the cutting/sewing machine. Daniel was a great quilt inspector. 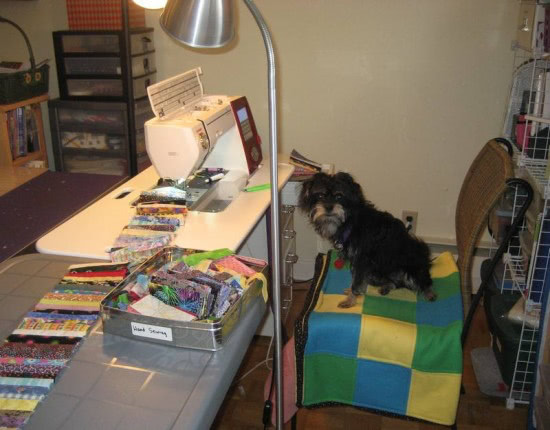 Now my best buddy and quilting inspector is Milo. 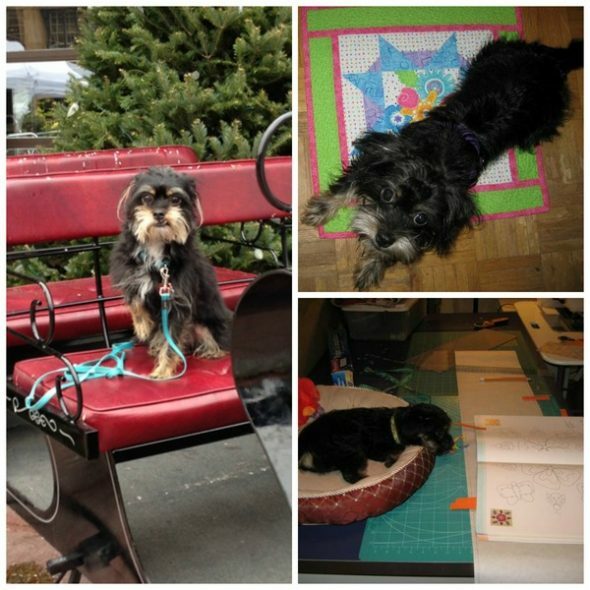 He’s 4 1/2 years old now, and hangs out with me in my office/sewing studio all day long. He drags his bed around the room, depending on where I’m working. Mom, I'm ready for my first quilting lesson. I’d love to hear about your own quilting inspectors. Leave a comment below or jump over to my Facebook Community to share a picture. 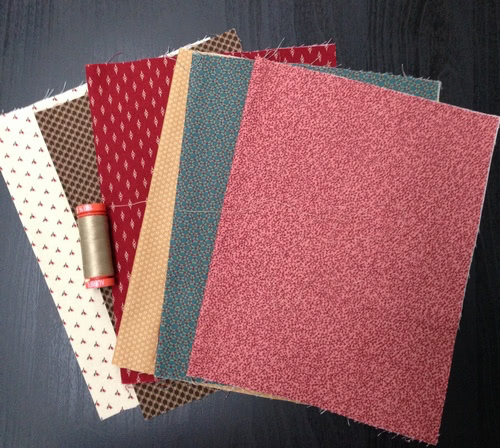 Download my free Splendid Sampler block here: Inspector Sidekick. My block has lots of little pieces, so take some extra time to cut as accurate as you can. I found it helpful to label the pieces after I cut them, so I didn’t get mixed up. I used Aurifil 2325 in 50 weight for piecing. This is a great neutral thread colour and worked perfectly with my fabrics. 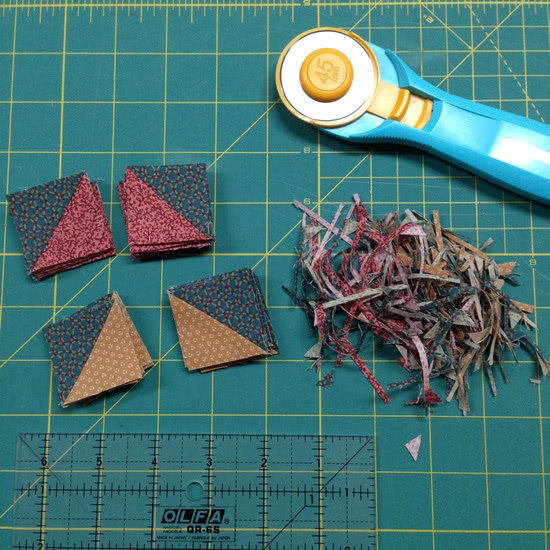 Bonus tip: Don’t forget to square-up and trim your half-square triangles before assembling them into blocks. This trimming step will really help with the overall accuracy of your block. Finally, thank you for visiting! I hope you have fun making my block and I’ll be watching for the photos in The Splendid Sampler™ Facebook group. 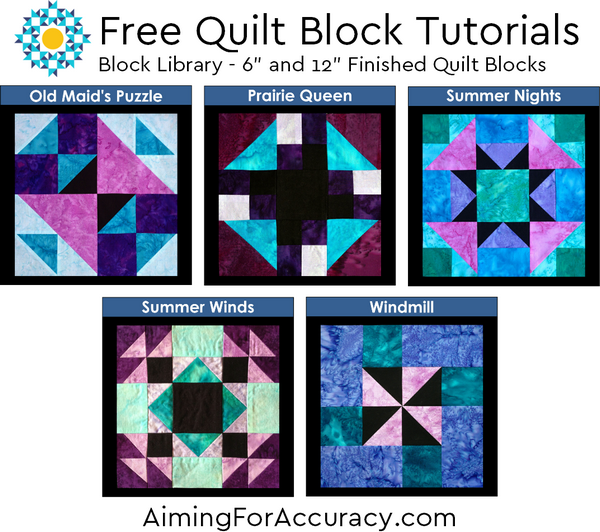 Head over to my pattern site, Aiming for Accuracy to download my free Block Library tutorials. Michelle, Love your little Inspector block and can’t wait for work to lighten up so I can make it! Just finished Square Vortex with someone’s half-square triangles from our guild “free table”. I added the off white and it is really cute. Thank you for all your wonderful ideas. Great block….love the Sidekick post. Thank you so much Michele for being part of our Splendid Sampler journey!! I love your block and now I’m off to look for photos of my inspectors from days ago.. awesome memories! Hi Micheke, Mahalo for sharing your fur babys with me, I have a little one that will sit on my lap as I sew, so she is my sidekick. Love your block!! Oh! your block looks very nice. It can have so many looks just by changing the colors and values around. I am glad to see you used HST for the fling geese. 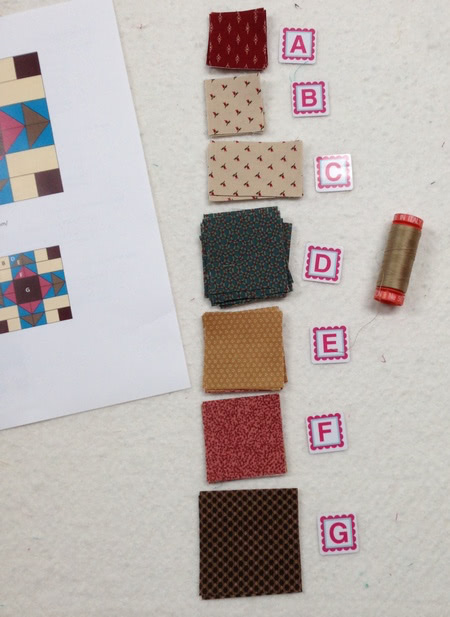 After sewing squares on corners for a number of blocks, I used HST for the star points for Family Stars even though the directions called for the squares. Trimming is easier for me than trying to sew an accurate diagonal line. Some of my problem is the light on my machine doesn’t work and I haven’t figured out lighting to compensate for that. Wonderful block. Thank you. I love all of your sidekicks over the years and brings back memories of all mine in the past and my current helpers. Been looking forward to your block Michele, and you didn’t disappoint! Unfortunately, I’m way behind do to a bit of illness and just had to print the pattern and put it in my folder so I can complete it later. Wonderful block Michele ! Loved seeing your sidekicks. Mine are two birds, an Amazon and a Conure. The conure chatters, and the amazon talks to me while I sew. They are great company. 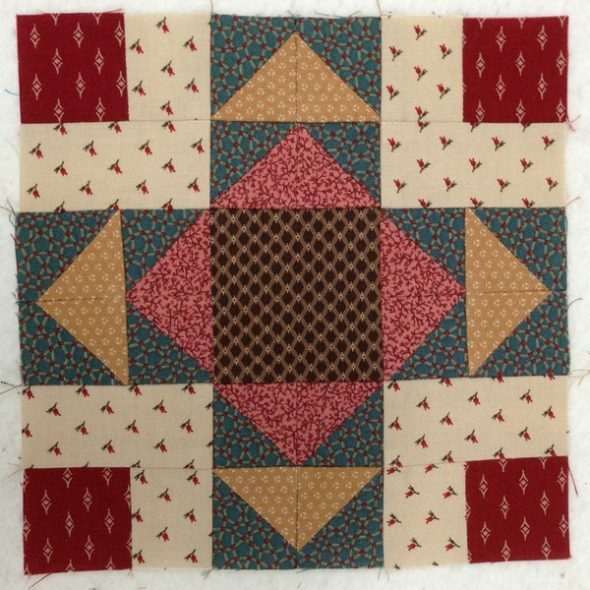 This is a great block for The Splendid Sampler. Thank you.